In social media, if not all things, everyone hates a self proclaimed guru. Twitter abounds with such profiles – Followerwonk shows nearly 28,000 profiles using the word guru! Yet a guru means one who is regarded as having great knowledge, wisdom, and authority in a certain area, and who uses it to guide others. Perhaps take a moment to read the definition of Guru on Wikipedia. In other words, a guru is a teacher or leader. Someone who shares their wisdom and that of others. They would willingly help you. This is someone that we would appreciate & value wouldn’t we? So we know how to spot those sham gurus and avoid them like the plague. What about the gurus we create? You know, they are the ones we love to follow & connect with. The ones we always hope will see our blog or even comment. The ones with big Klout. The trouble is that they are sometimes a creation of the environment if not of our imagination. At worst, it’s a bit like the school playground… remember those really popular kids who everyone wanted to be friends with. Why? Because they were the most popular kids… Do you see what I mean? Whether or not you like the word guru, I think what most of us want is to engage with people we value not those who are “just popular”. I value those who share knowledge, wisdom & authority freely and in an inclusive manner. So I’m taking a much closer look at the Twitter playground to separate the “just popular” from the real Gurus. Do they really retweet? I took a look at TweetStats and was shocked to see how little some “big names” retweet. Yet when I thought about it I knew this to be true – sharing on Twitter is easy to do so what stops them? Do you get a sense of cliques forming around them? @dileeshus wrote a good piece on Twitter exclusion here and others have spoken to me about this trend. I think if you sense a clique that’s an amber warning – don’t ignore it! Do they reciprocate? You both blog and you have a relationship on twitter. If you comment on their blog then why don’t they comment on yours? It’s not a lot to ask and the best ones do it already. There are some really great people out there – some are truly gurus. Just watch you don’t get caught up in the schoolground popularity show! As always I’d really appreciate any thoughts or experiences on this you’d like to share here or offline. I’ve been curious about Haiku for a while now and have been playing around with it. 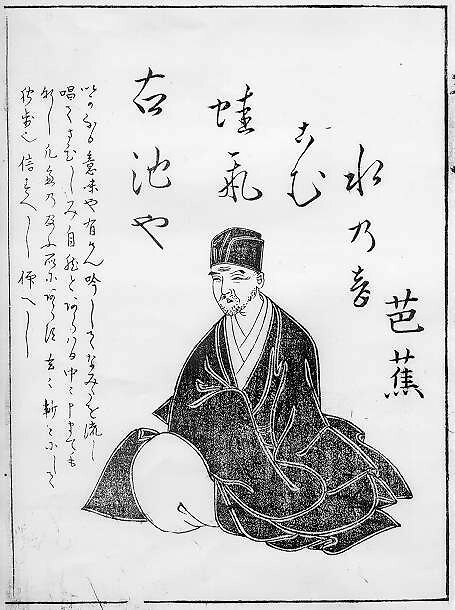 This website provides some great resource and also a description of Master Basho (picture above) – a Haiku Guru if you ask me! Why don’t you have a try at Haiku and share it with us! Lovely to see you here Natasha and thanks for adding to the thinking! Great point about the loss of status and credibility. I think that's the great thing about Twitter (rather than LinkedIn) – the fallacy just can't last!